Maine Department of Agriculture, Conservation and Forestry is charged with maintaining an agricultural jobs network linking farms and facilities processing agricultural products grown in the State with available workers who wish to work on a farm or in a local food industry. Whether you are an employer or someone interested in pursuing the rewarding work of farm and food productions, this can be a first step towards meetings your informational needs. Outdoor Careers Fair Exhibit Registration Now Open! Do you like working with kids? 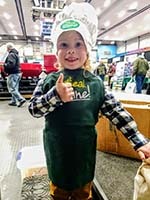 Are you ready to inspire the next generation of farmers and food producers? We are looking for inspiring professionals in farming and food production to join us at our first ever Outdoor Careers Fair at Kennebec Valley Community College's Hinckley Campus! The Department of Agriculture, Conservation & Forestry is teaming up with Jobs for Maine Grads to bring outdoor careers to 7th graders in the central Maine area. This interactive, hands-on career day will feature jobs that all take place outside. From farm managers and naturalists to forestry professionals and game wardens, there will be something for everyone's interest. Over 500 students from central Maine are attending, and we are looking for engaging and inspiring professionals in outdoor careers to join us on Friday, May 10th from 9 am – 1 pm at Kennebec Valley Community College’s Alfond Rec Center at the Hinckley campus. Indoor and outdoor exhibit space is available. Those who might consider exhibiting livestock and large equipment are especially encouraged to apply. If you have a unique agricultural business or technology you would like to share with the next generation of farmers, we want to hear from you! Registration closes Friday, March 29th, 2019. Download Registration Form (DOCX). Please contact Yvette Meunier with any questions on how to get involved. Employer & Business Resources - The Department of Labor CareerCenter has several resources for Employers including, how to find and recruit employees, labor laws and the Maine Apprenticeship Program. Maine Department of Labor Program and Service Guide - A comprehensive guide to services for employers provided by the Maine Department of Labor. Maine's JobLink Career Center - List your job opportunites at no charge and reach tens of thousands of registered maine job seekers. Create and edit your own listings. United States Department of Labor: Federal Youth Employment Laws in Farm Jobs - Standards for youth employment in agriculture. Maine-at-Work Initative - The Maine Department of Labor and its Workforce Partners provide a variety of employment and training services at no charge for businesses. Employee Management Tips for Success (DOCX 16KB) - A list of successful management strategies that lead to employee retention and job satisfaction. Maine Agricultural Employers Checklist for New Farm Employees – A comprehensive checklist of state and federal requirements, mandatory and recommended trainings, best management practices, and additional resources. CCSWCD Presents: Maine Agricultural Opportunities - Interested in a profession inthe agricultural field? Learn more about the wide-range of agricultural professions available in Maine by viewing “Maine Agricultural Opportunities”, produced by the Cumberland County Soil & Water Conservation District. Browse Career Center's Maine Joblink for employment opportunities. Users are required to register in order to view all details for each job posting. Visit Maine Joblink for FAQs on how to register and getting started on your job search. The Maine Sustainable Agriculture Society (MESAS) – An employment and internship hub for year round farm jobs and Maine internships in agriculture, technology, marketing and engineering. The National Farmworker Jobs Program provides migrant and seasonal farmworkers and their dependents with workforce development services and training assistance. 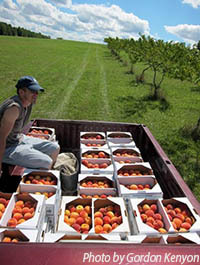 Maine Job Link Career Center - Search Maine job postings for agricultural job opportunties. AgCareers – An international online career portal and job board for agricultural, food, and biotechnology industries. ATTRA – National sustainable farming internships and apprenticeships directory of on-the-job learning opportunities. Craigslist – A free site for employers to post jobs and employees to post their services. Farm and Food Jobs – A nation-wide resource for paid and volunteer opportunities in agriculture and food related industries. Good Food Jobs – A resource for opportunities with farmers, food artisans, purveyors, retailers, restauranteurs, and more. Indeed – A popular international job posting website and career portal. MOFGA – An online resource for organic farming which includes a help wanted forum. USA Jobs – A listing of all federal employment opportunities nation-wide and internationally. University of Maine – A listing of positions available at all University of Maine locations, including positions with the cooperative extension. WWOOF – A network of international exchange programs for volunteers to work on organic farms in exchange for room and board. Word-of-Mouth - Many agricultural jobs are found through word of mouth so direct contact with farms and service providers may be beneficial. An extensive list of farms and service providers can be found on our website: get real. get Maine! Agricultural Education & Training Resources - Looking to learn more about current farming practices and enhance your background in agriculture? The Agricultural Resource Development Division has compiled the following list of resources in order to assist farmers and persons interested in furthering their agricultural education and skills set. Contact your local CareerCenter for information about training opportunities. Training Information for Adult Workers - The CareerCenter can work with you to set goals, find training and identify financial resources to make your plan possible. University of Maine Cooperative Extension - Offers a wealth of informational and educational experiences for those job seekers looking to gain knowledge in agriculture, food safety, small business, and the Maine Food System. Whether its educating gardeners or those wanting to preserve the harvest with canning, freezing, and drying workshops, there are opportunities to advance your skill-set for personal or professional causes. Aspiring, beginning, and transitioning farmers can find resources to help them succeed at the Beginning Farmer Resource Network. SafetyWorks! Maine Department of Labor - SafetyWorks! can help you prevent work-related injuries, illnesses, and deaths and reduce related costs. They offer free services, are confidential, and they don't issue fines or citations. SafetyWorks! professionals can train employers and employees on a wide range of safety and health topics-at no cost to you. National Ag Safety Database - The National Ag Safety Database (NASD) is a web-based central repository of health, safety, and injury prevention materials for the agricultural community. Agricultural Worker Protection Standard (WPS) - EPA's Agricultural Worker Protection Standard (WPS) is aimed at reducing the risk of pesticide poisoning and injury among agricultural workers and pesticide handlers. National Education Center for Agricultural Safety - National Safety Council (NSC) has helped raise awareness of safety issues in rural communities for several years. NECAS is the only organization with a hands-on farm equipment safety training center. The facility also houses classrooms, a library and a resource center. The National Institute for Occupational Safety and Health: Agriculture, Forestry and Fishing - The Agriculture, Forestry and Fishing Program (AgFF) provides leadership to prevent work-related injuries and illnesses among the nation’s agricultural and forestry workers and fishermen.